The PRSSA 2019 International Conference is an event that brings communications students from around the world together for professional development and networking. Attendees will have the opportunity to participate in numerous sessions that will shed light on current topics and trends in the field of public relations. In addition, students will be able to attend general sessions at the PRSA International Conference and certain PRSA networking events. All of these offerings enable students to learn, network and grow as rising professionals. Make sure you create or update your LinkedIn account before attending the Conference. LinkedIn is a crucial tool to manage your professional identity. By having an account, you can build up your network and engage with many other professionals in the industry. Ensure your bio is up to date as well as your headshot. Also check that your position descriptions have no grammatical errors or typos. Lastly, maintain professionalism throughout your account; the last thing you want is professionals not to take your profile seriously enough because it is reminiscent of a Facebook account. Pro tip: After attending a session or networking reception, immediately send an invite to any professionals you met or chatted with. Just like most companies in the 21st century, LinkedIn now has an app! We recommend you download the app before the Conference to get used to playing around with it. This year the Conference will offer a LinkedIn scan code. The scan code will make it easier for you to add presenters and speakers from the Conference rather than having to search up their name. Also included in the app is a Bluetooth feature so that you can find people near you. Pro tip: Anytime you send an invite to someone, be sure to include a personal note so that they remember where they met you or what you both talked about. In our opinion, there’s nothing better than carrying business cards around. If you don’t have business cards yet, we strongly encourage you to invest in some before the International Conference. When creating them, make sure you use your preferred name on them along with your phone number, email, your field of study and the college you are attending. You want to make sure your business cards reflect you and your personality but are also a professional representation of you. Pro tip: Think about adding a QR code to your business cards that will send people to your online portfolio or LinkedIn account! 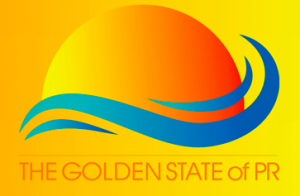 We hope to see you at the 2019 International Conference in San Diego, California, on Oct. 18–22. Early registration is open now until Sept. 6. Isabella Garcia is the communications director for the PRSSA 2019 International Conference. She will be in charge of the creative content for Conference, using photography and video to showcase Conference. 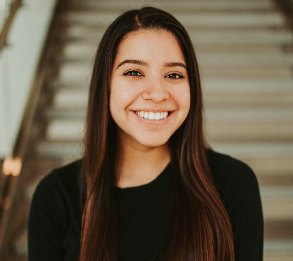 During fall 2018, Garcia joined PRSSA as an incoming junior to not only immerse herself in the field of public relations but to network and build relationships with her peers. She also had worked as a photographer on her community college newspaper where she used InDesign and Photoshop to help create the publication with her peers. During her time with the newspaper, Garcia began working on its social media platforms including Instagram and Facebook. She gave the newspaper’s Instagram page a fresh look by making it more, so they could gain more of a following to their page from the students. After two years at community college, she received two associate degrees, one in journalism and the other in communications. While having her own photography business, Garcia plans on using her knowledge of photography to bring to life the vision for Conference. She has photographed a plethora of events such as weddings, sold-out shows at Anaheim House of Blues, and the Vans Warped Tour. She learned to work with Photoshop and Lightroom programs to generate stylized presets to enhance her photos. She has two years left of school, and she will continue to expand her knowledge of public relations. She is a public relations major and also will be working toward receiving a photography certificate under the communications department at California State University, Fullerton.